Since I have been trying to cut back a lot on spending (including polish spending), I limited myself to one polish from China Glaze's Tronica collection. Let me tell you, that was a tough decision to make! Luckily I had a few OMG polishes so I had some of my holo basics covered. Here is the one I finally decided on! 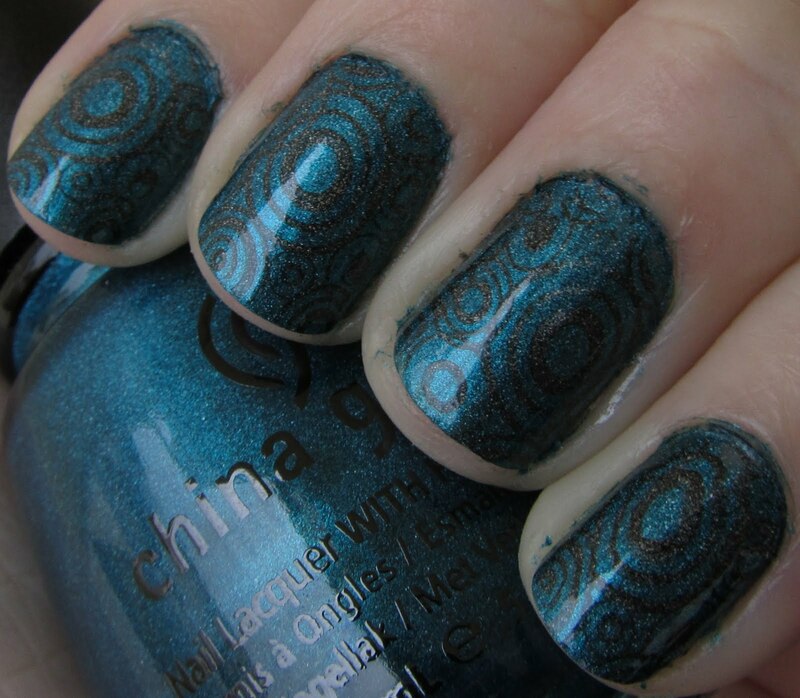 This is China Glaze Techno Teal. It is very unfortunate that I did not get a sunlight picture of this one because it is gorgeous! This is two coats and it went on very nicely. The holo effect here is not quite as strong as in the OMG collection, nor is it the same linear style effect, but it is very pretty nonetheless. And the color is amazing; this is one of my favorite colors so I am very happy to own it as a holo! 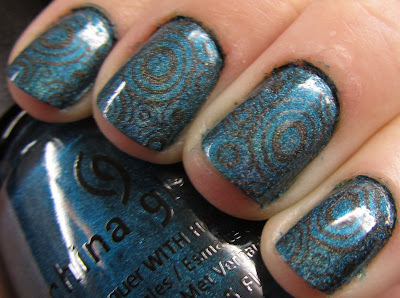 For the bubbles I used Bundle Monster BM19 and Color Club Revvvolution, a great black holo that is perfect for stamping. The end result is a sparkly holographic mani with techno bubbles! Cute! I'm gonna have to try this combo. I used the same plate to stamp my Tronica too! Something about those circles just says "futuristic" to me! so wonderful! looks great on your nails!